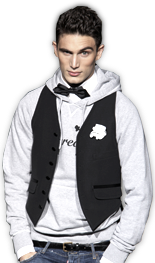 No decoration, no color, no print. 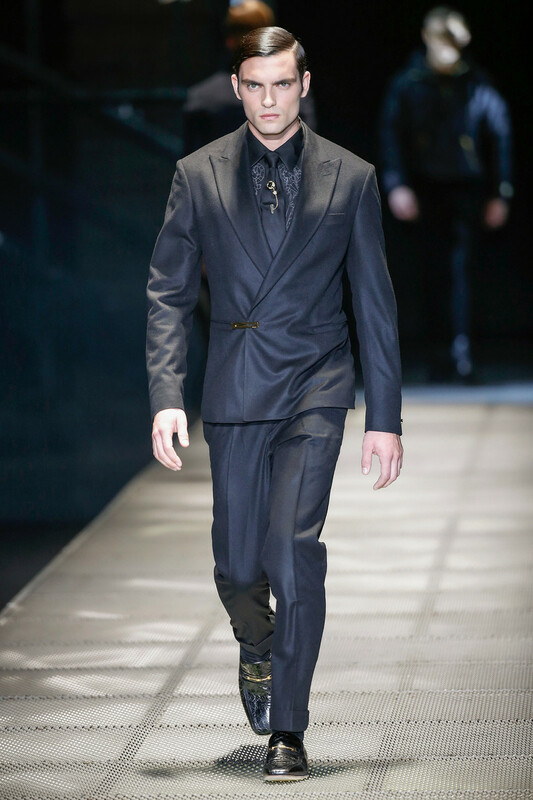 Just the soul of Versace: silhouette and cut. 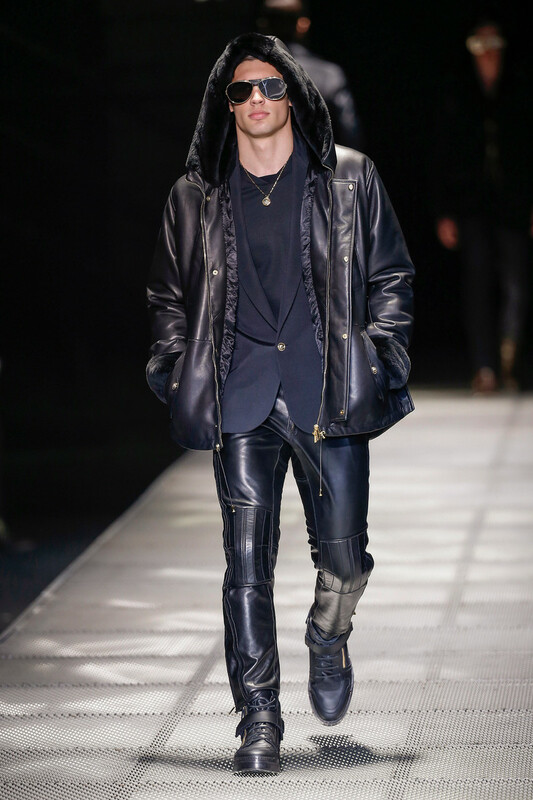 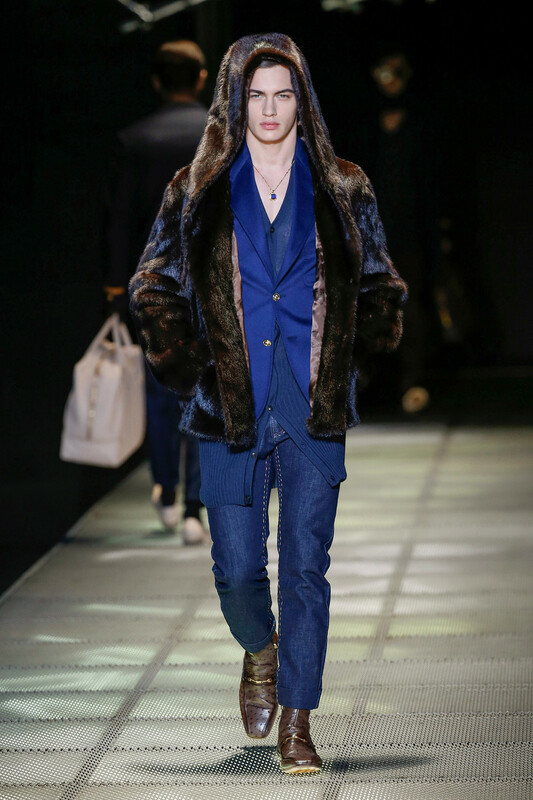 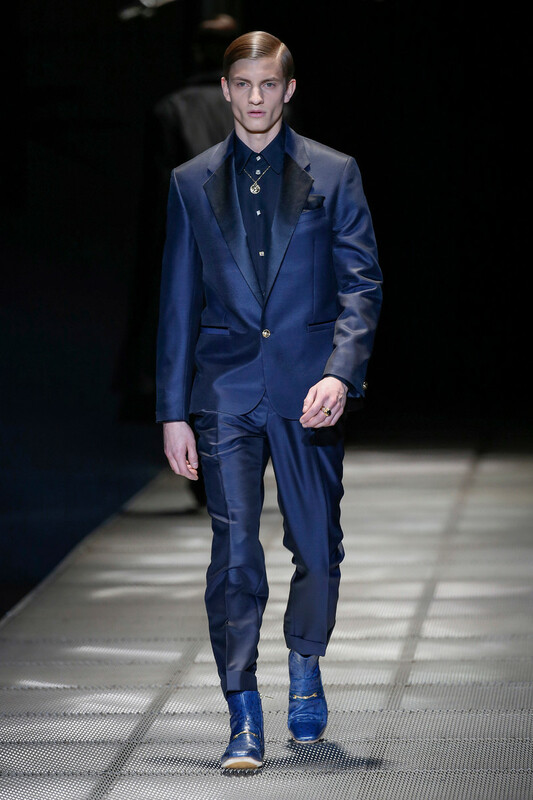 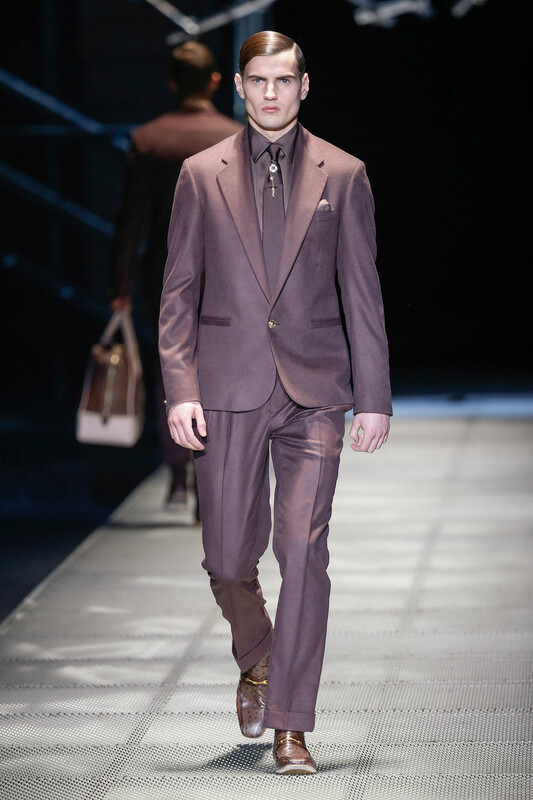 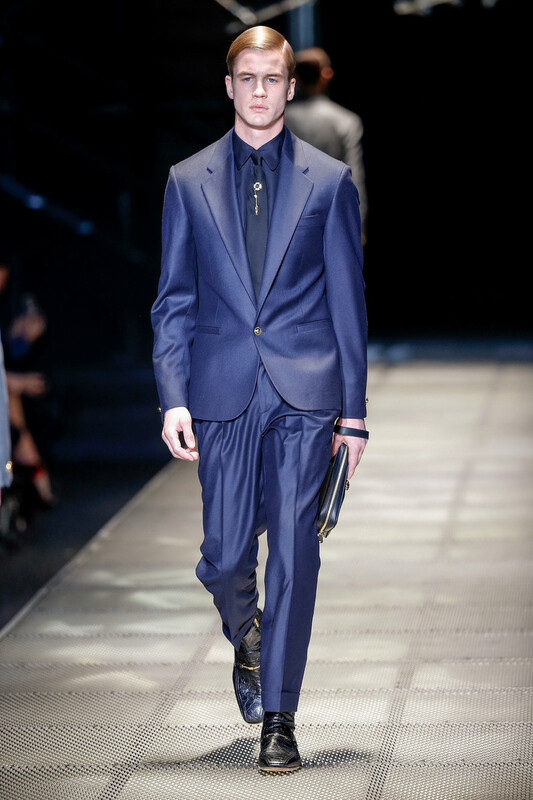 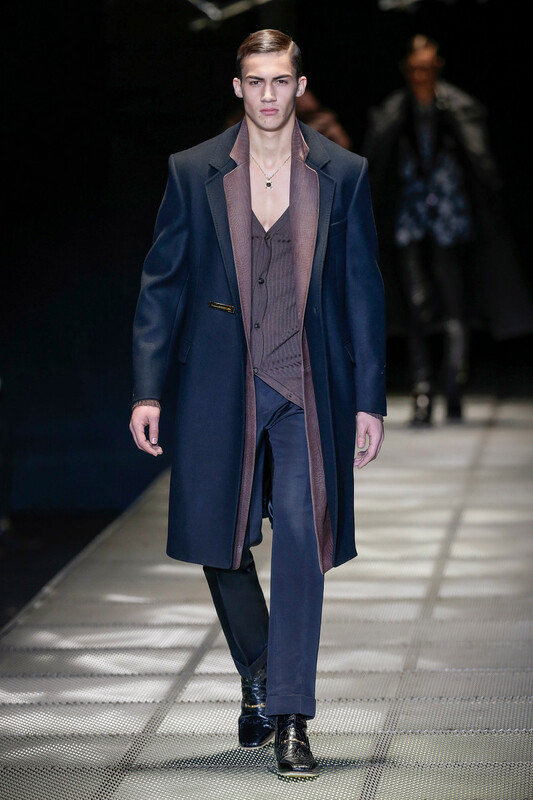 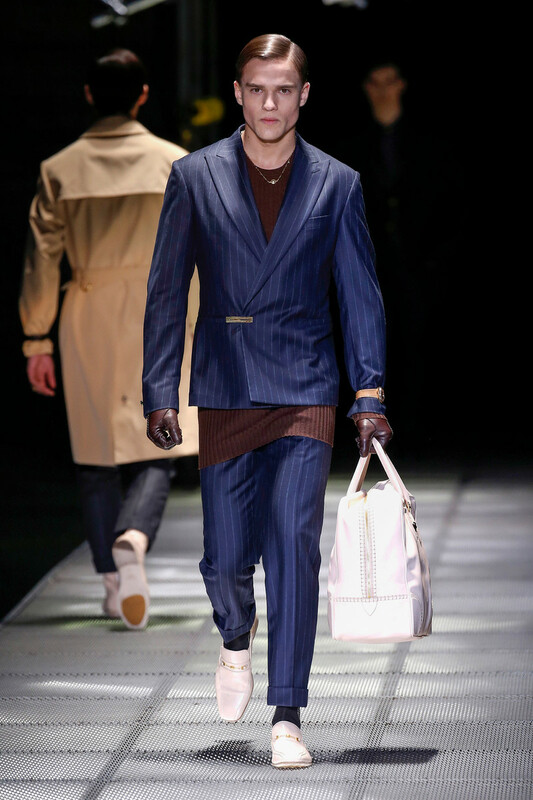 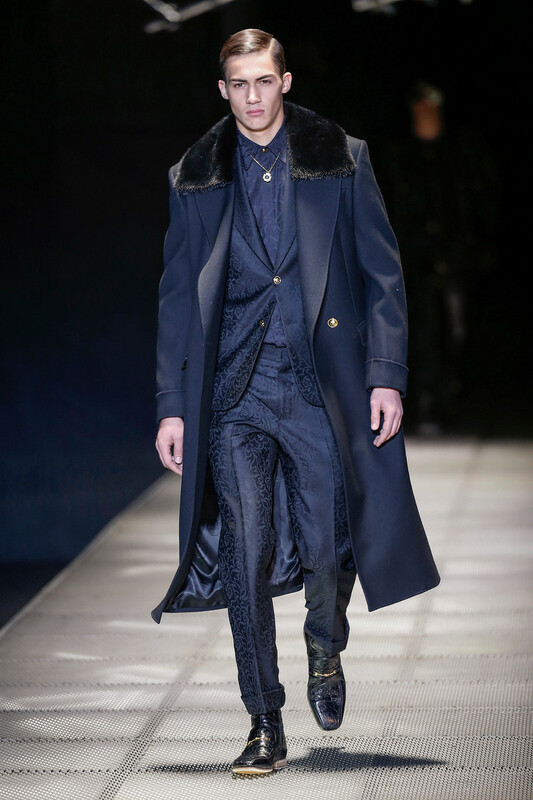 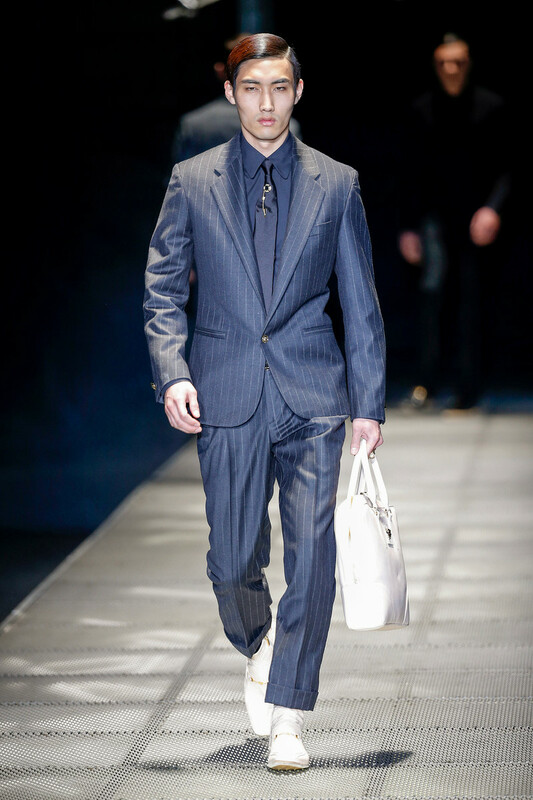 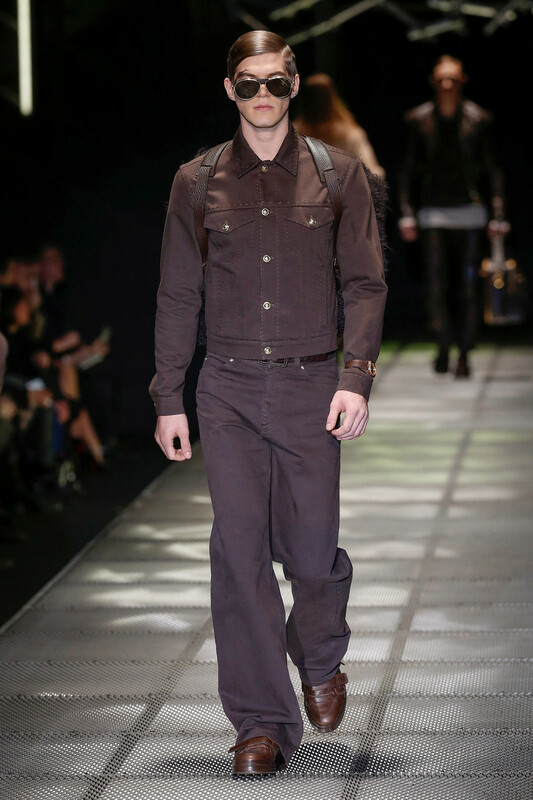 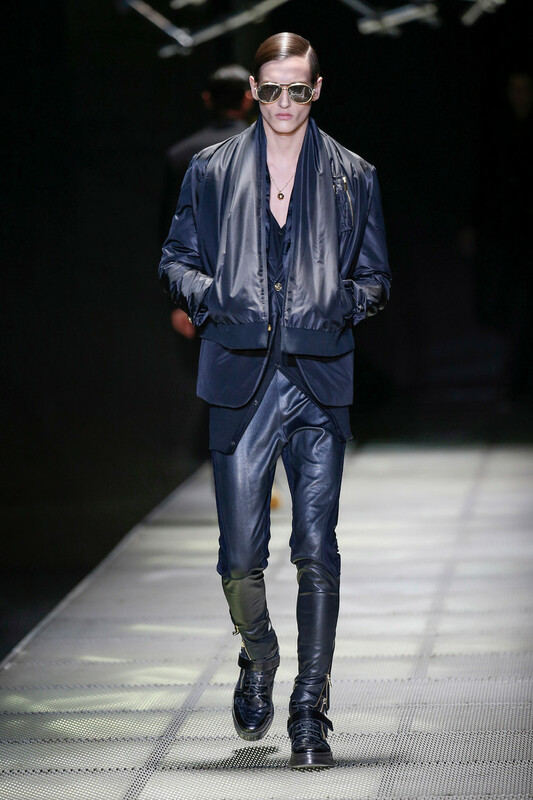 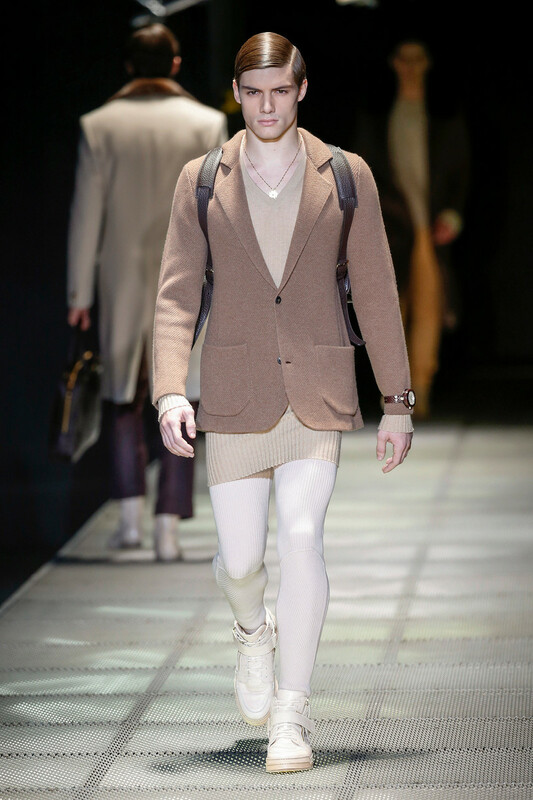 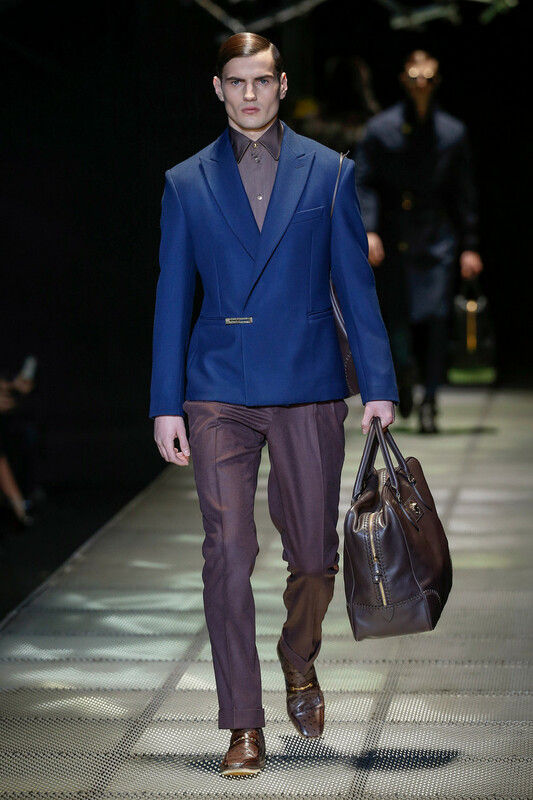 That was the message of Donatella Versace for her FW 2015 menswear collection. 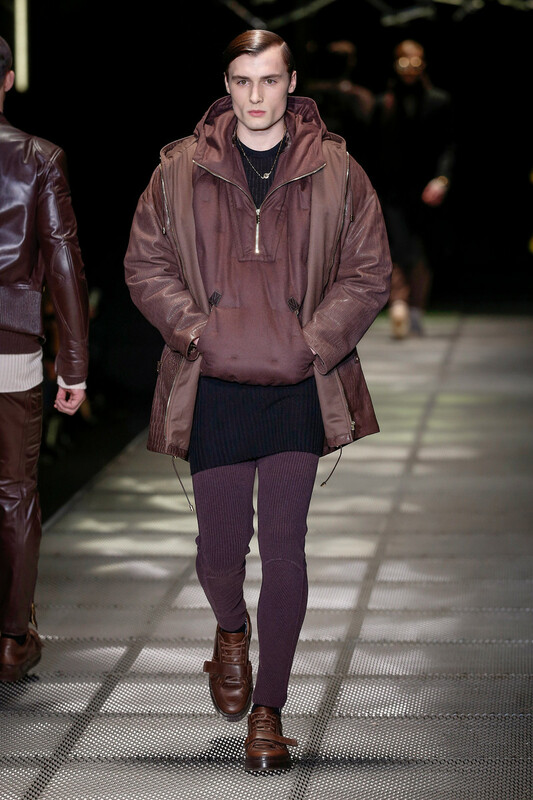 She envisaged the collection as a kind of ground zero, leveling the playing field for the future. 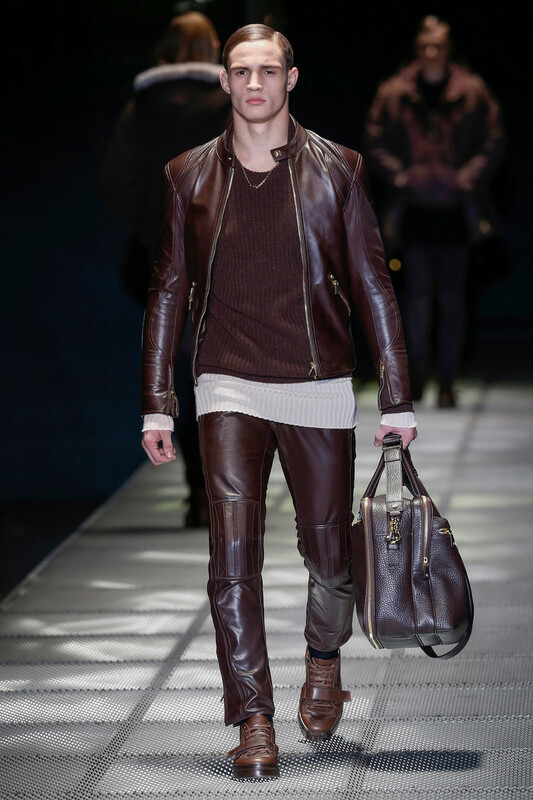 It was certainly a step away from excess and ambiguity and gladiatorial camp as we have seen many times. 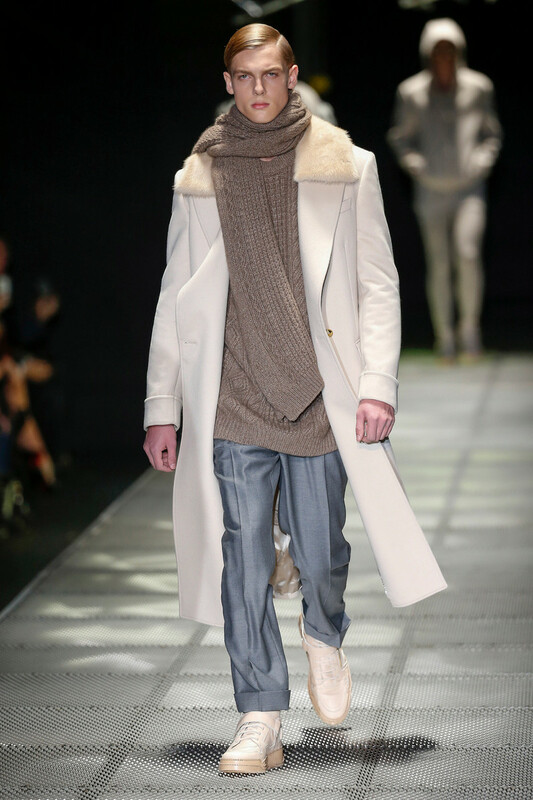 The color palette was a banquet of soothing neutrals. 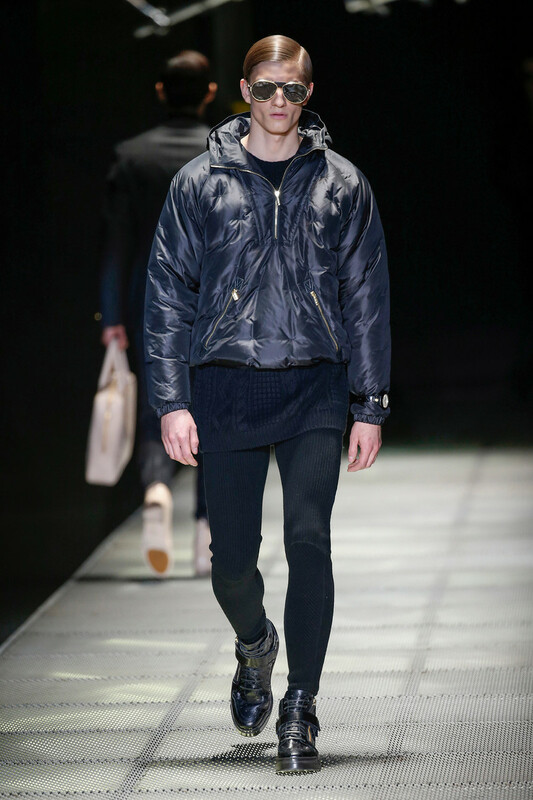 For all the designer’s insistence on cut, it was softness that dominated. 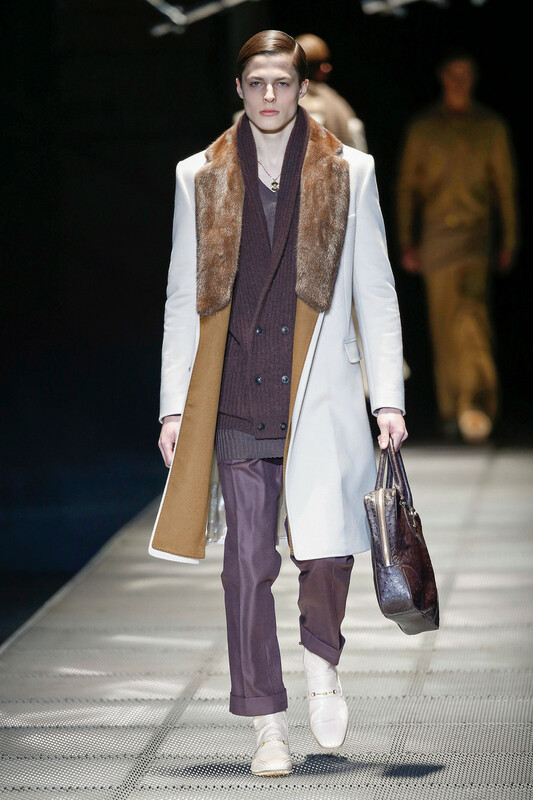 A hooded mink coat and a Mongolian lamb backpack were its most extreme manifestations. 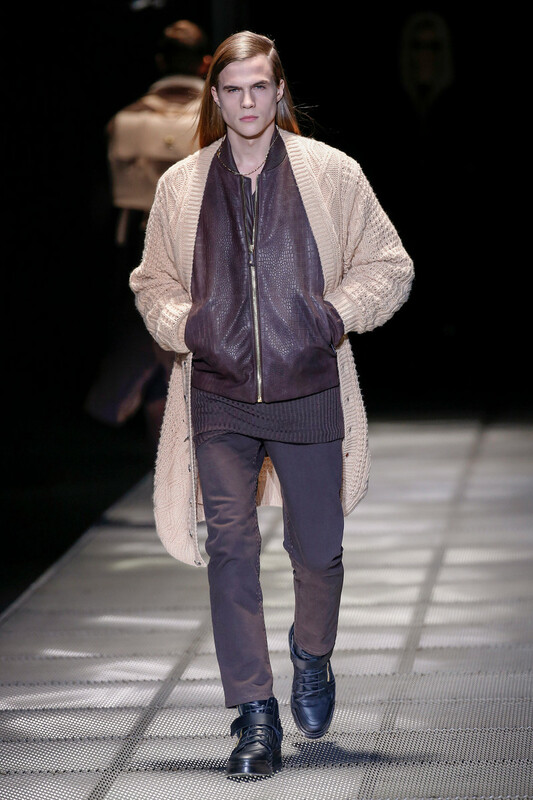 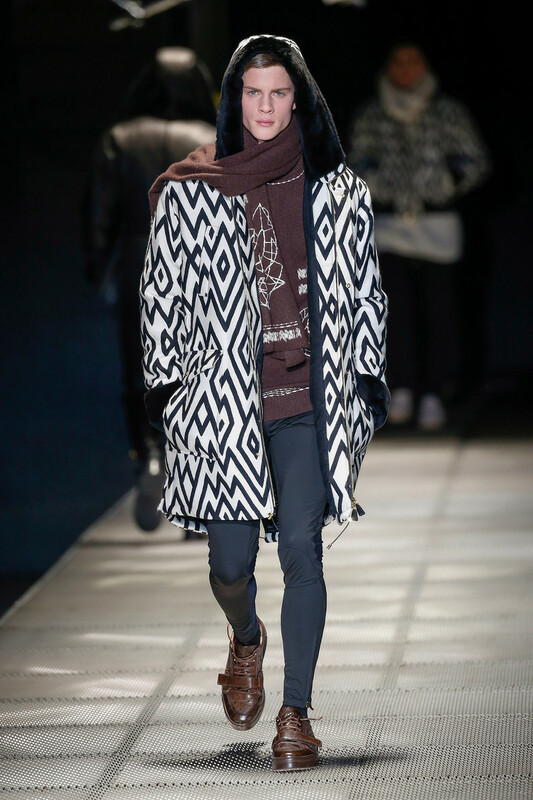 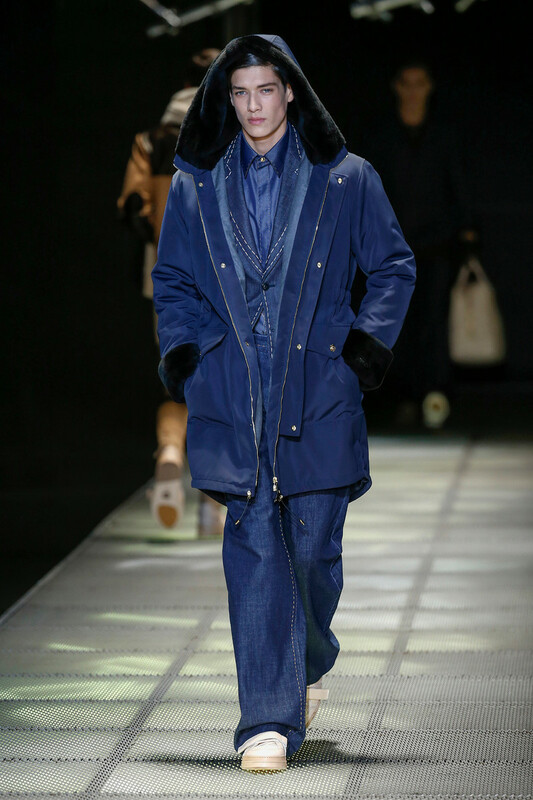 Otherwise, jacquard-ed blousons and parkas had the comfy look and feel of blankets. 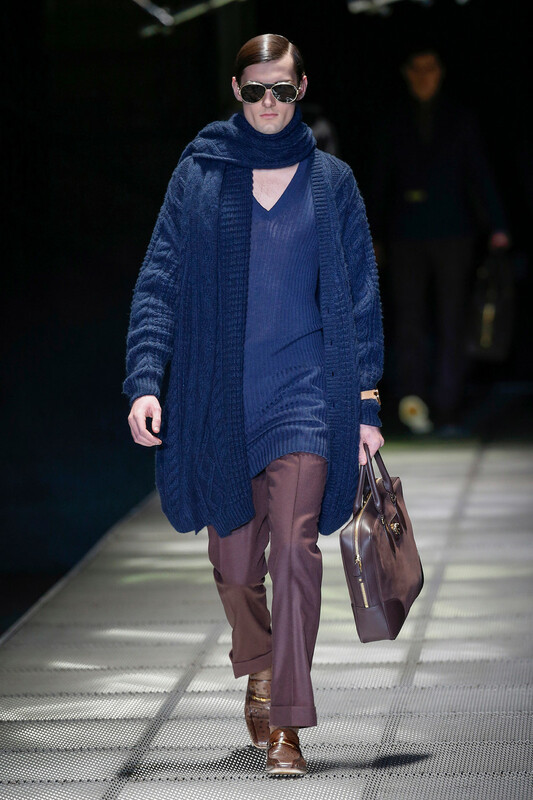 The body-conscious cashmere knitwear in long cabled cardigans and even longer rib-knit tops, layered over leggings was lean and athletic. 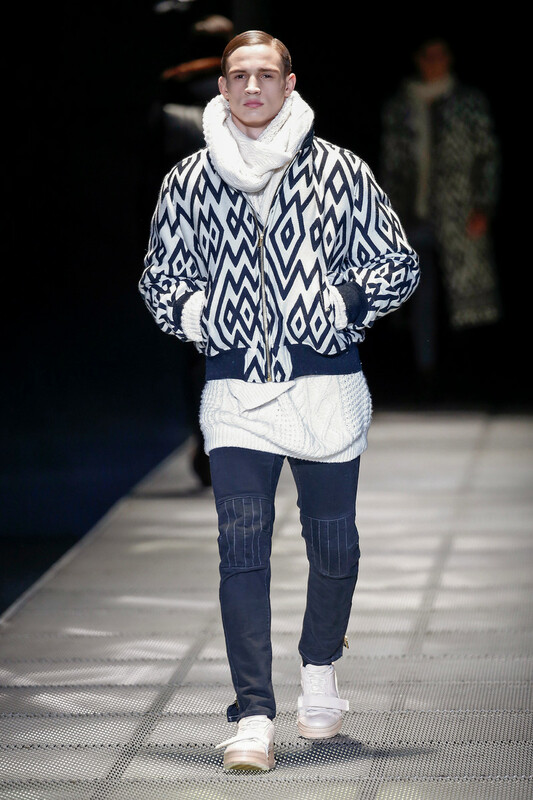 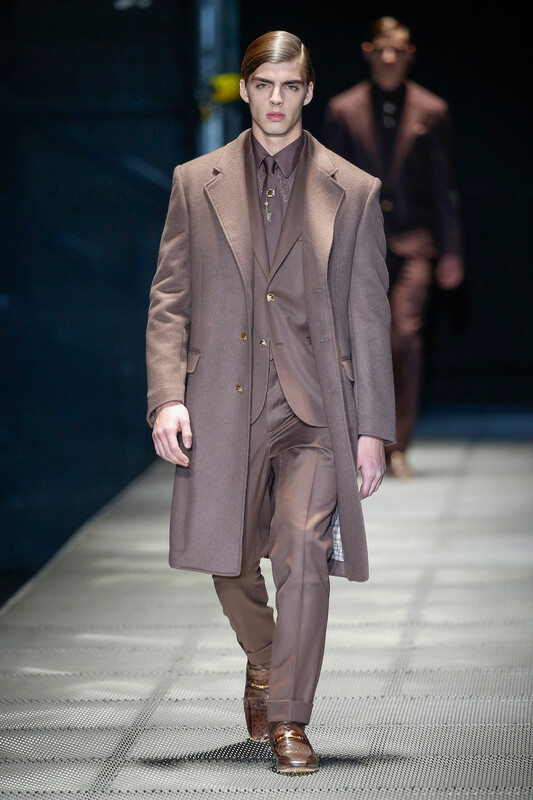 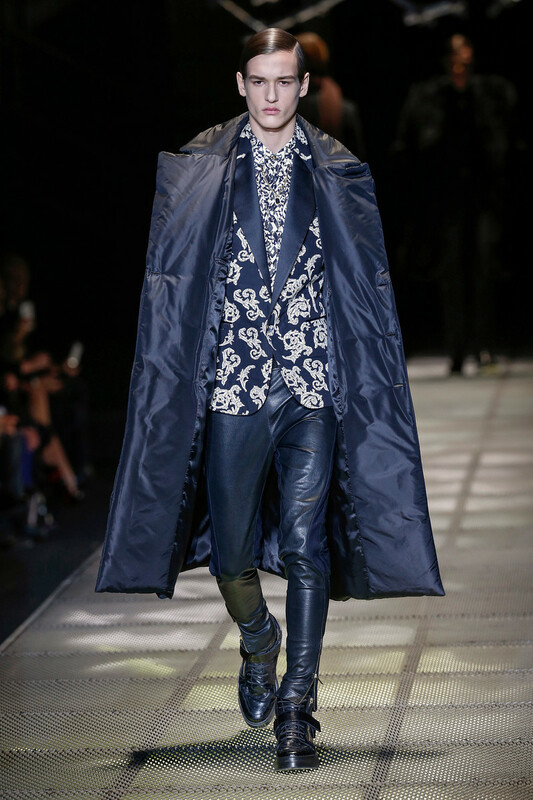 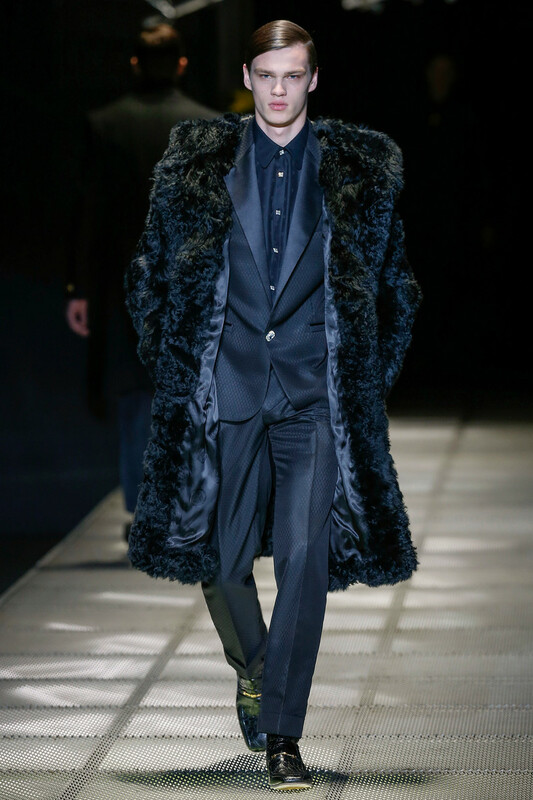 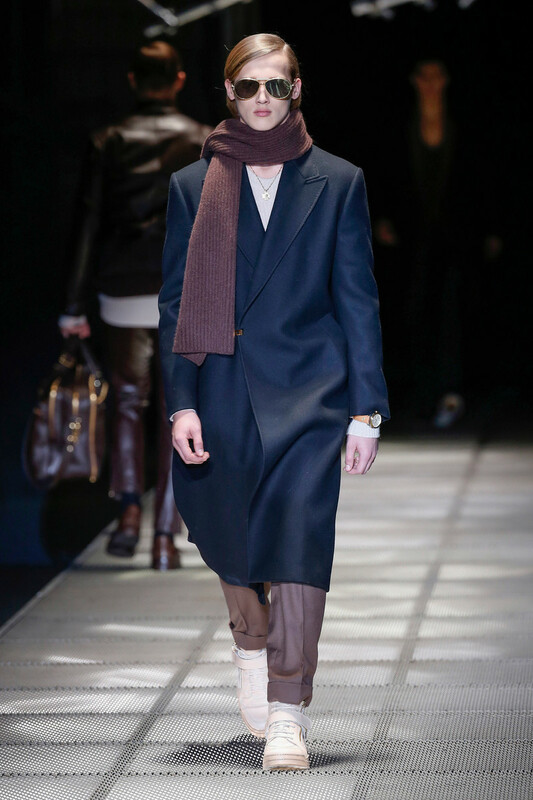 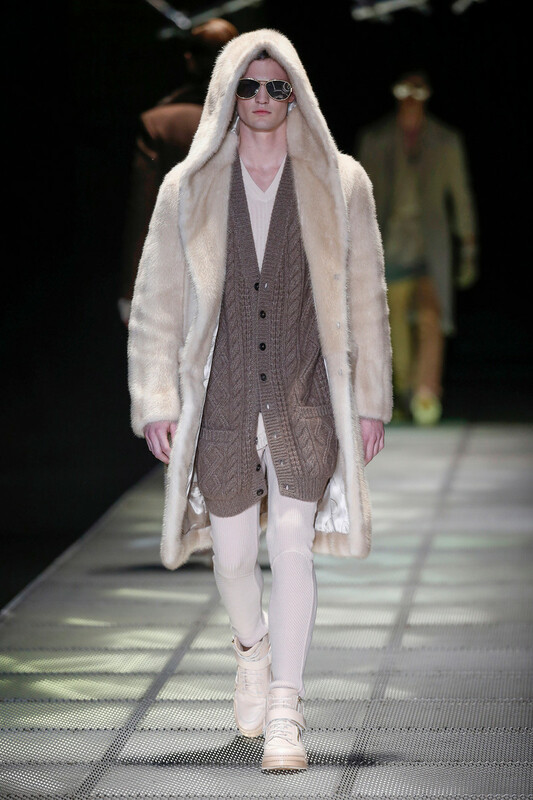 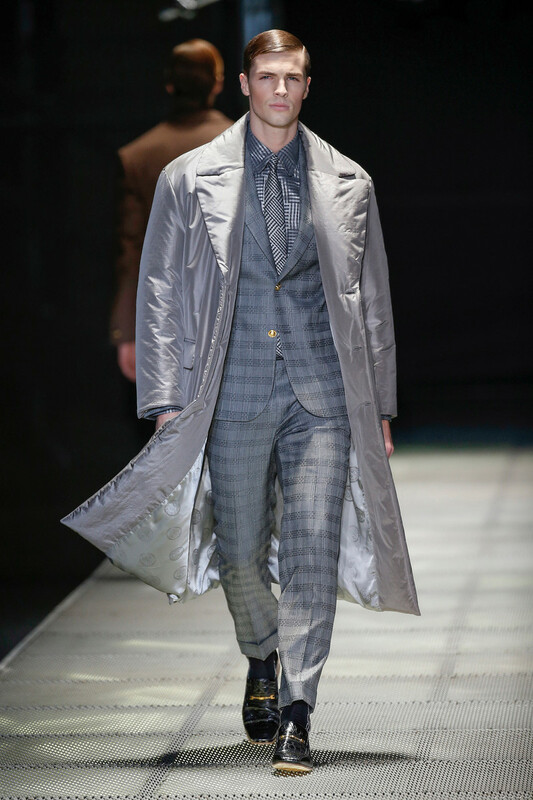 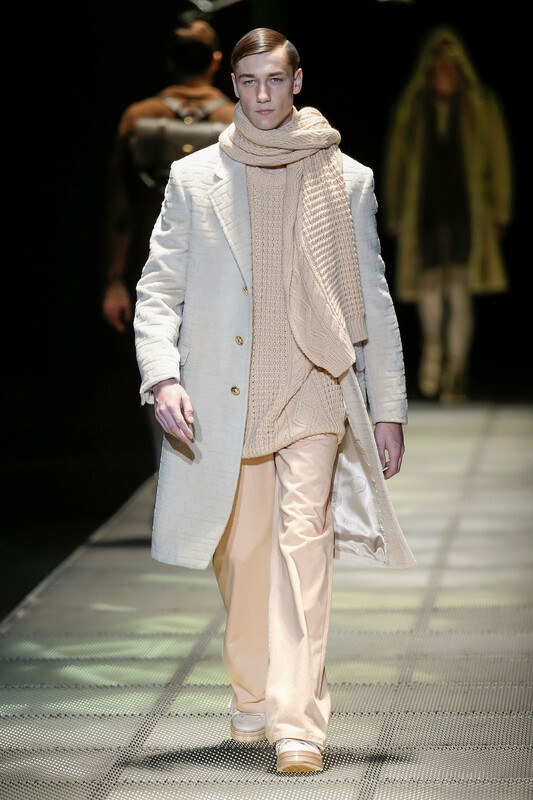 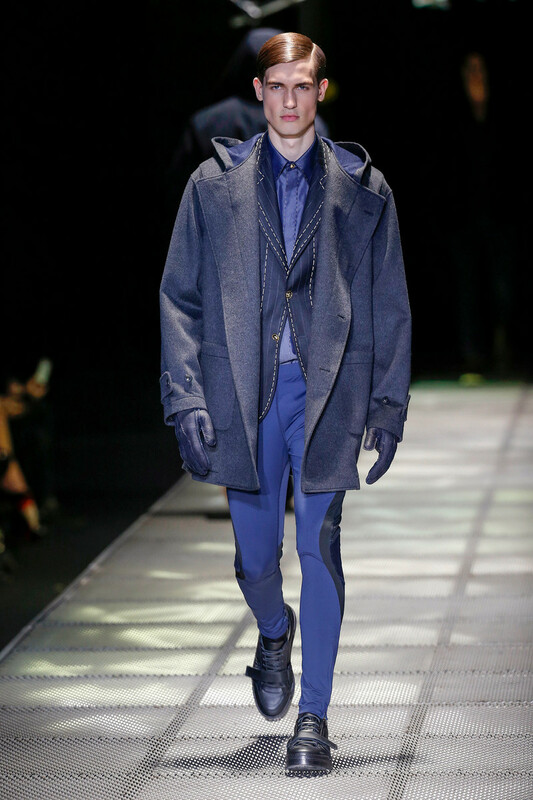 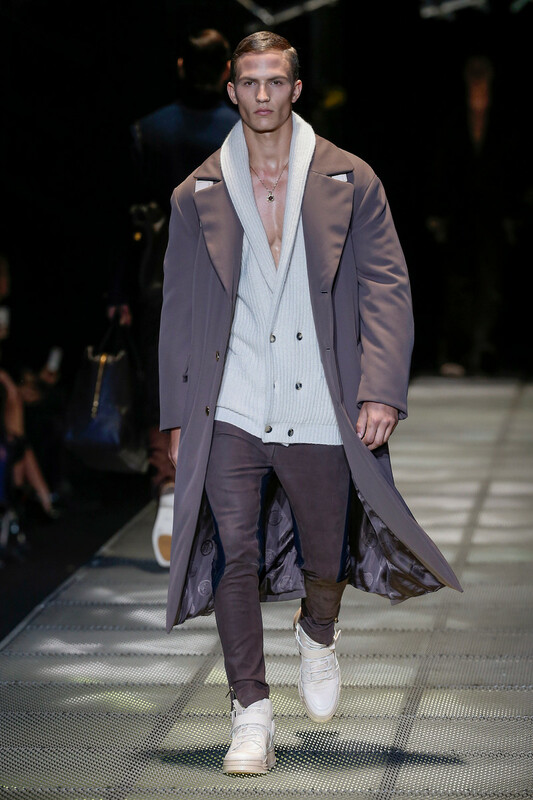 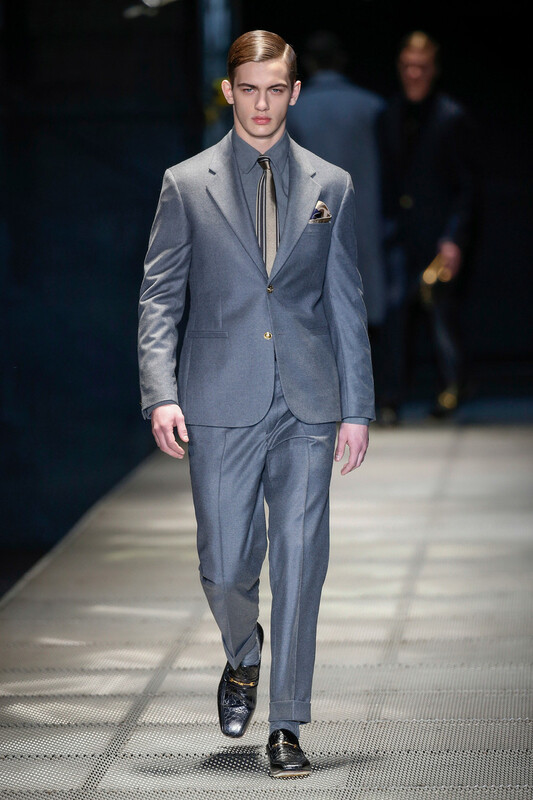 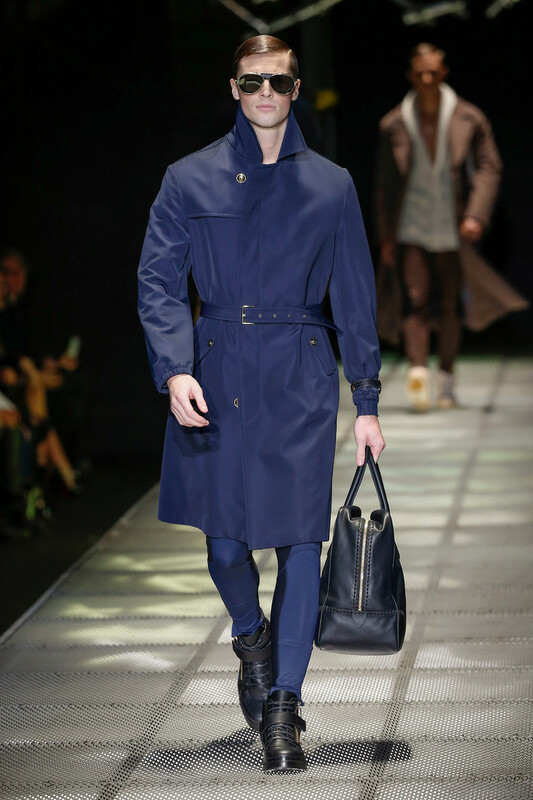 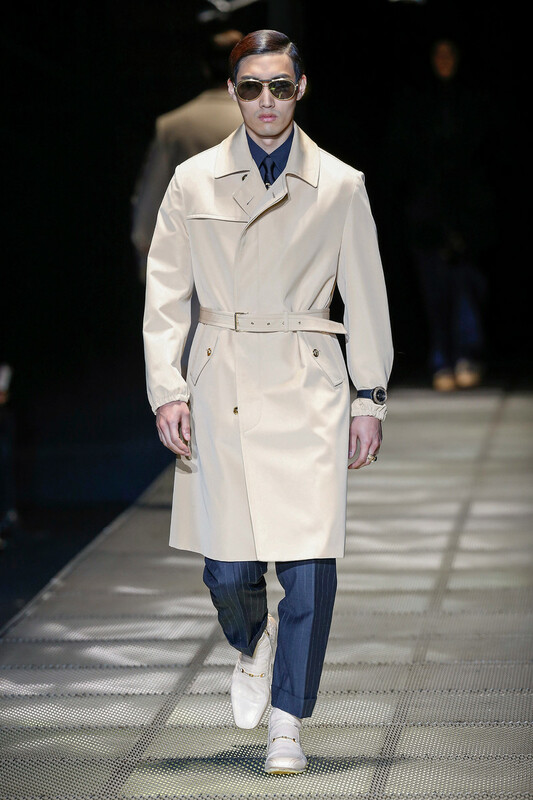 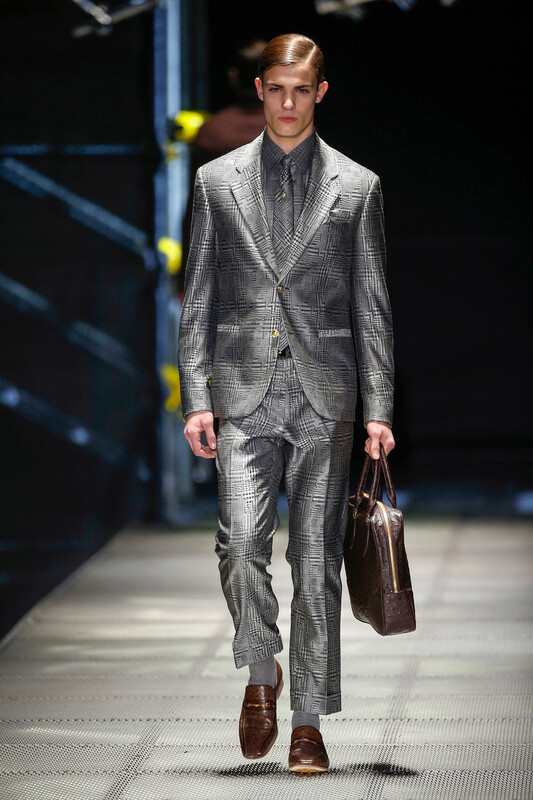 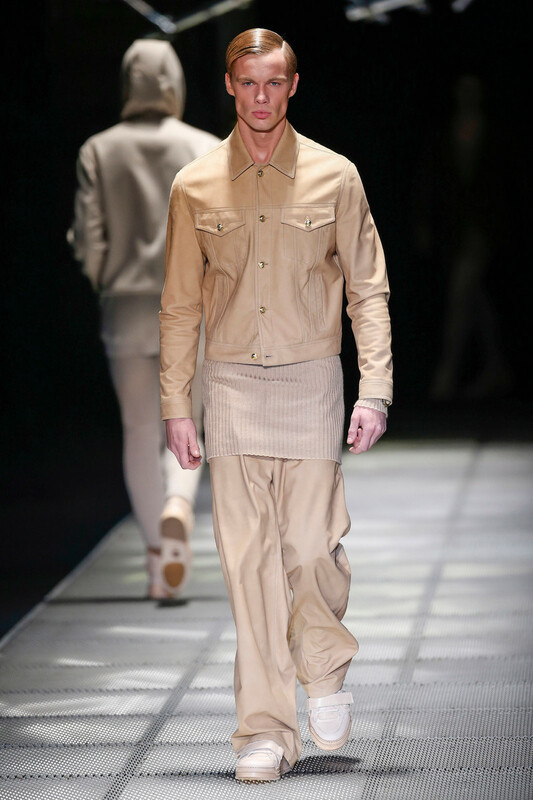 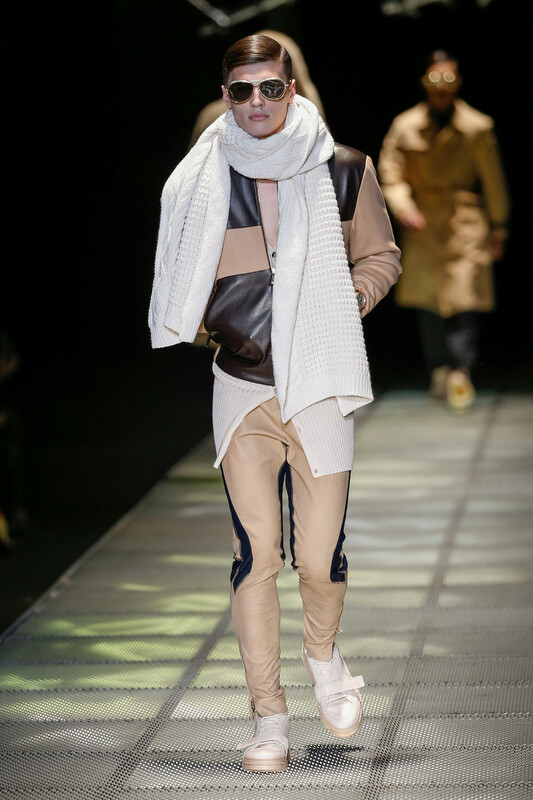 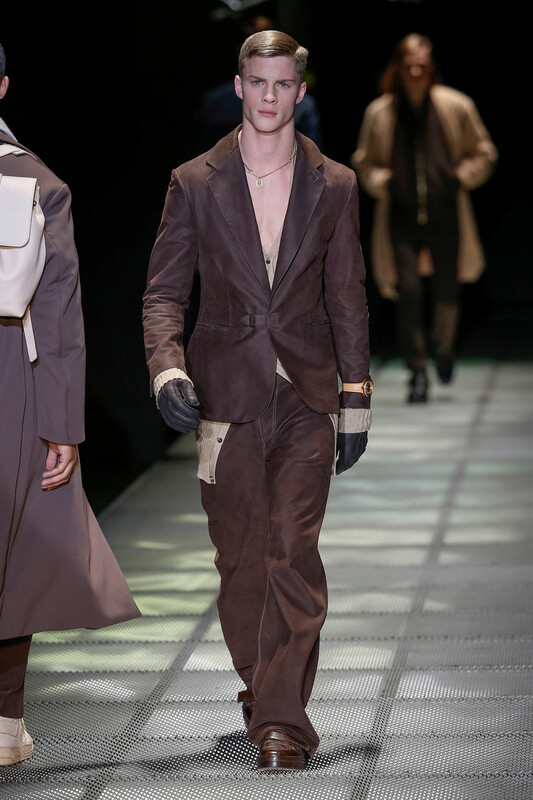 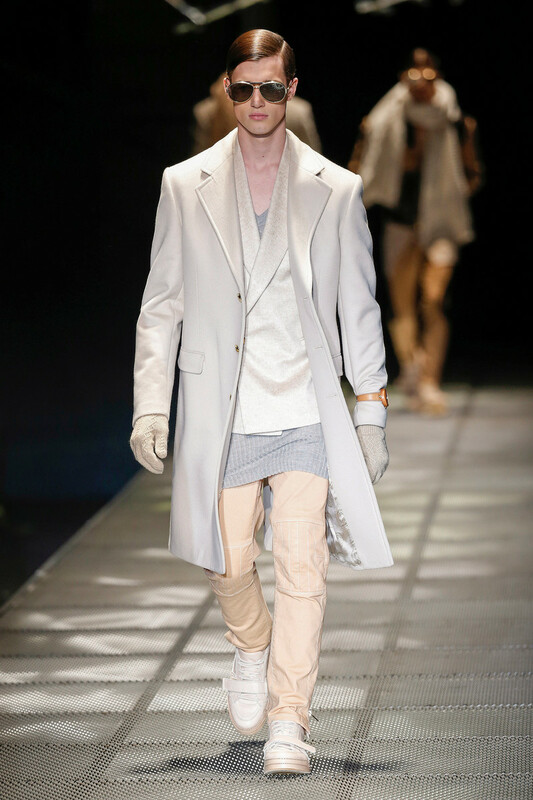 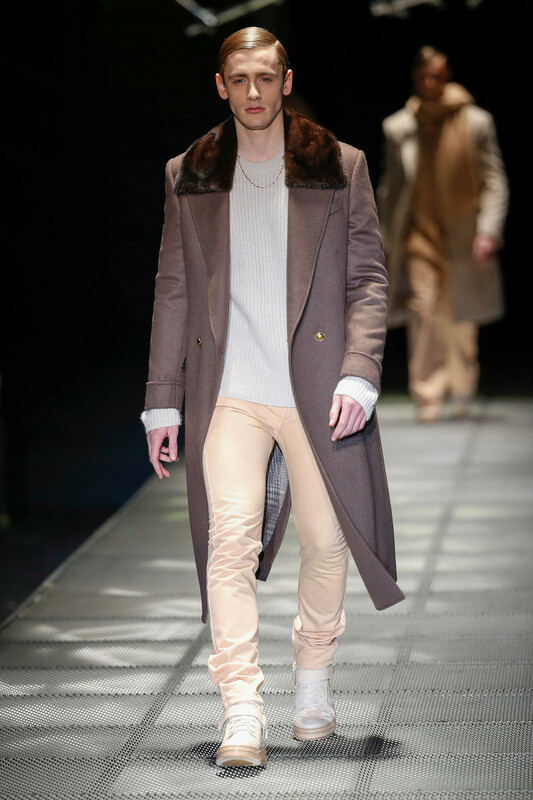 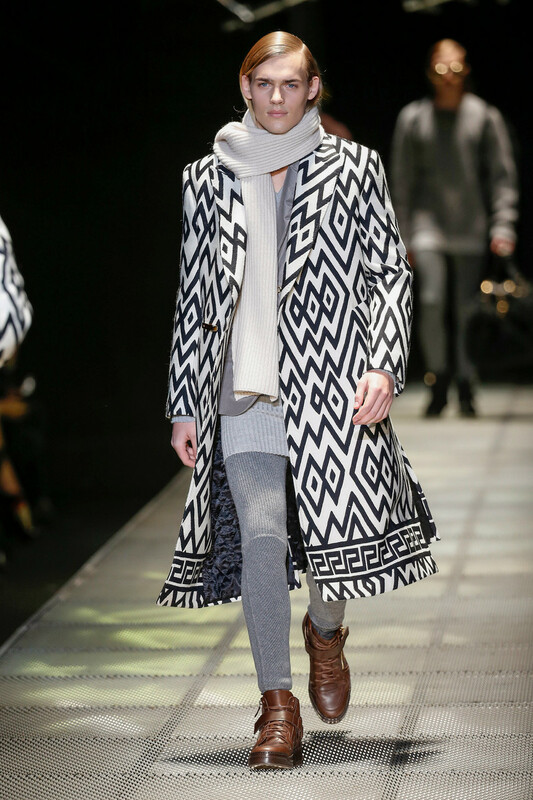 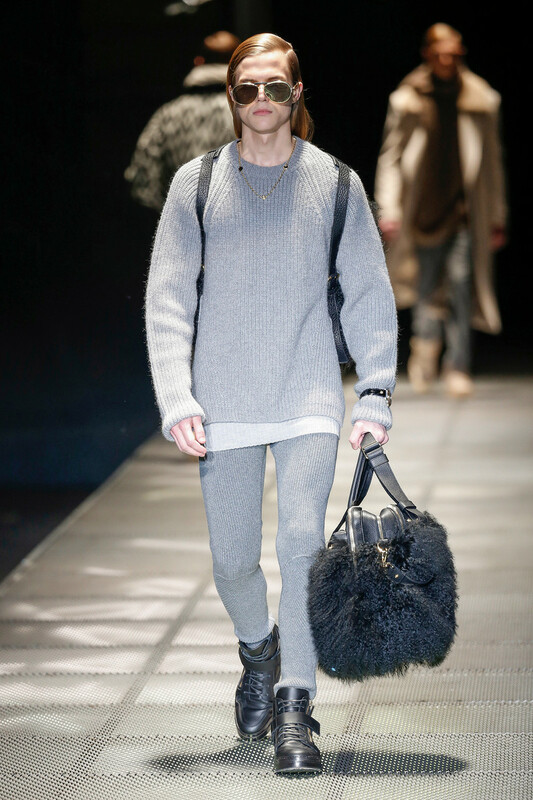 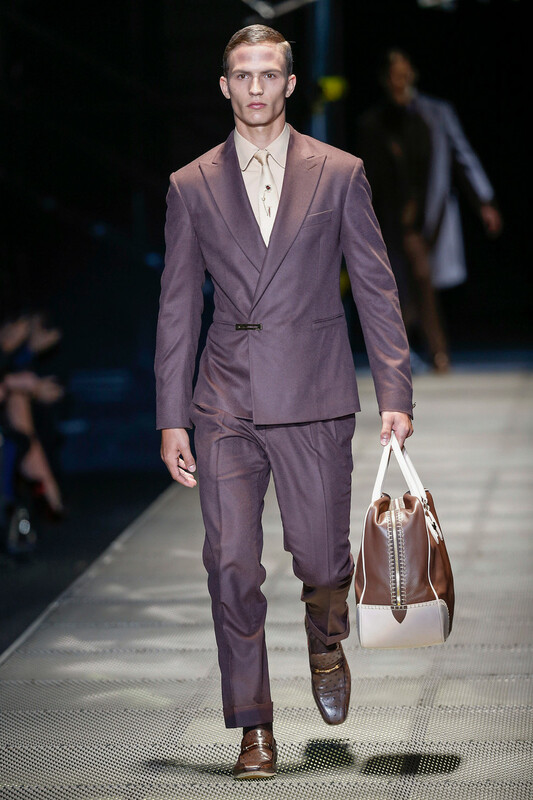 It took on an impressive masculine heft with oversized outerwear.